I had the privilege of inviting Global National into our home today. I am so thankful and humbled that I am continuing to get the opportunity to talk about my viral body image after babies post and further this very important conversation. Thank you Global for providing a platform for me to speak about something I feel so passionate about! 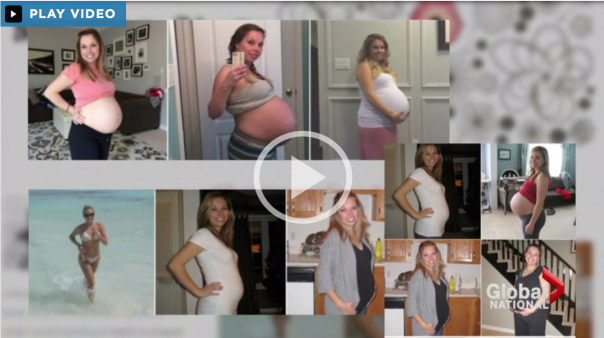 You can watch my interview and read Global’s article here: This Canadian Mom’s Uplifting Message About Her Pregnancy Body Is Going Viral. Had trauma to my thyroidectomy scar too. Just rubbed high quality vit E cream deep into the tissue every day for about 6months and it flattened it out and removed redness. No one ever notices it now. Worth a try as it is no trouble at all if you include it into your routine. Thank you for the tip Peanut. I did try that initially. It is actually quite flat now and all of the redness is gone. I may have it revised one day, but I am in no rush.